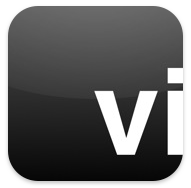 Vignettr 1.2 has just been approved and is now live on the app store. Choose a colour from the palette and apply a tint to the image. The tint can be used to warm or cool and image – or give a bold colour tint. If a white colour is selected for the tint it allows you to progressively desaturate your image depending on the intensity applied. Using the typical swipe gesture to cycle between the available adjustment modes (Vignette, ND Grad, Letterbox, Luminance and Tint). The swipe can be used in both a left to right and right to left motion.